Please meet at the APM Gym at 7 with hockey helmet, blue jersey and warm footwear. Game time on Saturday will be based on Friday's results. 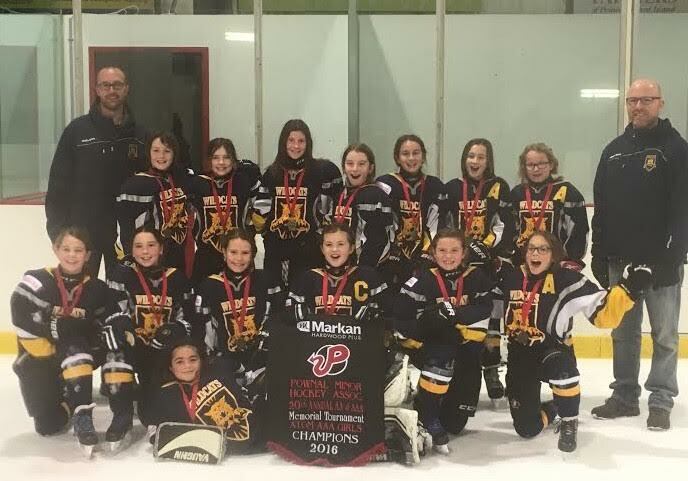 Congratulations Atom Wildcats! Way to Go Girls! Reminder of practice in Rustico Sunday October 16th at 11:40am.